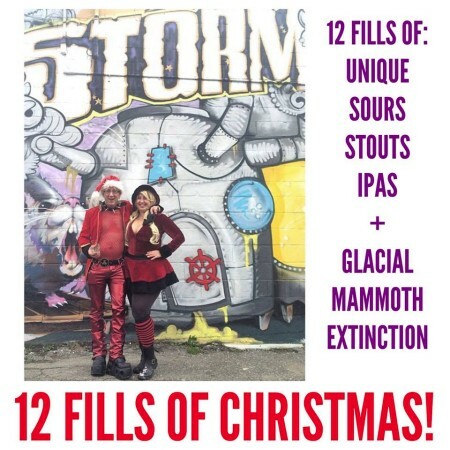 VANCOUVER, BC – Storm Brewing has announced details of a holiday promotion that will give 30 customers the chance to try “a curated selection of our most creative, rare, and delicious brews”. For $180, each subscriber will be given two 1 litre growlers – one of them hand-painted – and one 500 ml growler. Each Saturday in December, two exclusive beers – 10 in total – will be released for 1 litre fills. In addition, the package will include a 500 ml “mystery fill” at some point during the month, and a 500 ml fill of the renowned Glacial Mammoth Extinction at the end of December. For more details, see the announcement on the Storm Brewing website.